This is a dental malpractice case filed in Montgomery County on August 1, 2016. It is the 375th medical malpractice case filed in Maryland in 2016. Plaintiff goes to defendant dentist for her general dentistry needs, including for radiographic studies, cleanings, periodontal maintenance, excavation of decay, and restorations. She lost one of her teeth before becoming a patient of this dentist, and he persuades her that the only proper alternative for her was for her is a three-unit fixed bridge. Defendant never suggests a dental implant and tells plaintiff that she is not a candidate for the implant. The dentist prepares the teeth surrounding the placement of the bridge. While doing this, defendant dentist allegedly shaves down each of the two teeth so far that it causes the plaintiff severe pain and sensation. Defendant dentist places the bridge. As the plaintiff's pain continues, she goes to see an endodontist. She learns that her teeth were over-prepared and will need endodontic therapy. She has to have another dentist prepare a final bridge. She brings a claim against defendant dentist, alleging the failure to inform her of alternative, appropriate treatments, for over-preparing the abutment teeth, and for failing to obtain proper consent. As a result, her two teeth would be unharmed still, and she would not have needed the endodontic therapy. The complaint says the Defendant persuaded Plaintiff that having these healthy teeth was the only path. 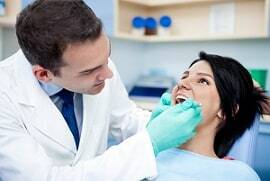 It could have happened that way but the more typical scenario is the dentist just says "this is what we are going to do" and the patient listens to the expert. Even under this scenario, the dentist has an obligation to provide the patient will all of the reasonable alternatives. The complaint does not offer many details, but it may be that the dentist shaved the teeth into the bone and hit the lingual nerve. Like many dental malpractice cases, the damages in this case typically would not warrant the expense of a malpractice lawsuit unless the negligence is obvious. We typically do not name the defendants in cases like this. Why? These are just allegations, and we do not want to become a part of a doctor's Google search without context. But we took a look at some of the reviews for this dentist. Some of them were just awful and they provide a high level of specificity. If you have suffered as a result of the negligence of a dentist, doctor, or hospital, our law firm can help you. You are entitled to justice and monetary compensation for the harm that has been done. Miller & Zois has a history of results in medical malpractice and dental negligence cases in Maryland, earning substantial verdicts and settlements. Call today to speak to a caring medical negligence attorney who can help you at 800-553-8082 or get a free online case review. Hagerstown dental malpractice lawsuit involving yet another case of a lingual nerve injury after a wisdom tooth extraction. CALL our attorneys today at 800-553-8082 or get a free online case evaluation in malpractice injury and wrongful death cases. Our attorneys want to help as many people as we possibly can, but we only accept severe injury and death cases.